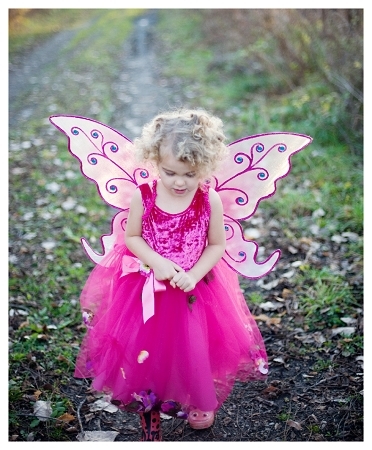 Garden Fairy Dress in pretty pink great little princess outfit for any occasion. Little girls like the comfort of this dress. Garden Fairy dress features a fully velour lined top for ultimate comfort and luxury. Skirt is tulle with flower petals and ribbon accents. Dress is made in Canada, machine washable. For perfect fairy look add princess wings and wand.